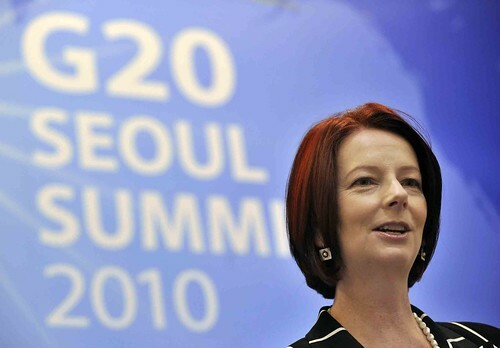 Julia Gillard bacame Australia’s 27th Prime Minister and Australia’s First Woman Prime Minister. Miss Gillard was the Deputy Prime Minister upon Labor’s victory in the 2007 federal election, also serving as Minister for Education, Employment and Workplace Relations. Kelvin Rudd (former Prime Minister) lost the support of his party and stood aside.